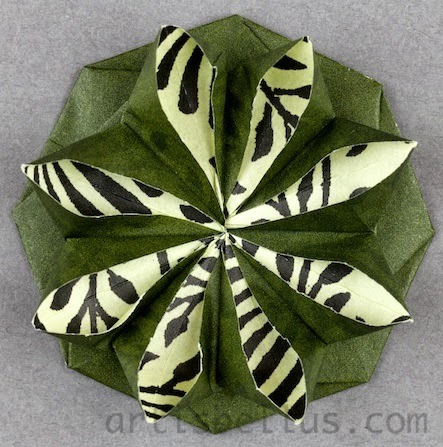 This origami rosette, designed by Tomoko Fuse, has a nice 3D shape, which is perfect to make a brooch. 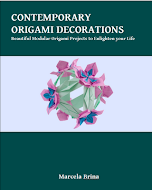 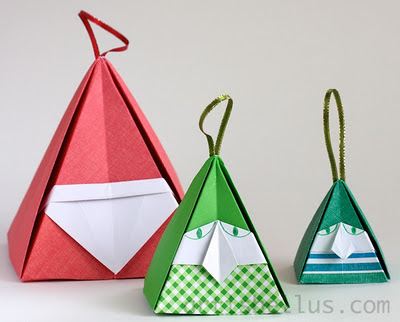 The instructions can be found in Tomoko Fuse's book, Origami Rosettes, ISBN 9784416309131. 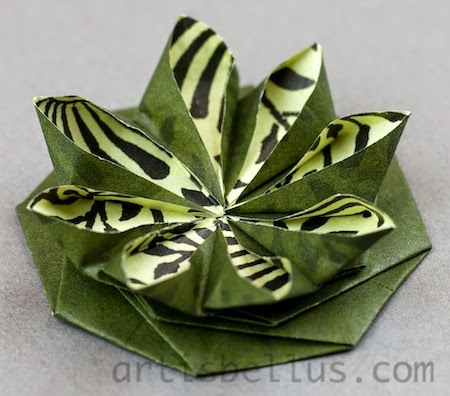 I folded it with an octagon, cut from a 6" (150 mm) square of duo origami paper.